1 dora the explorer pinata with 12 pull strings. Solve the “Mystery of the Hidden Treats” with this fun Dora the Explorer Pinata. 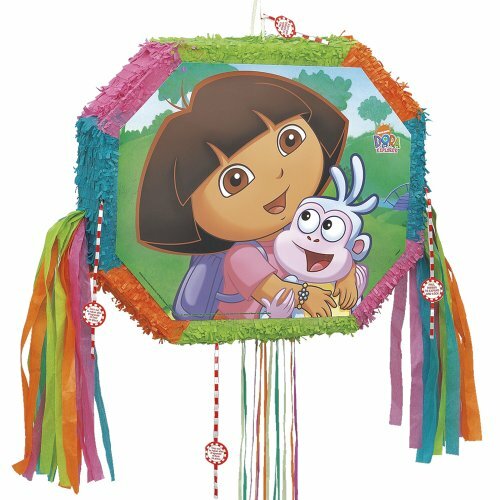 Decorated with an image of the beloved adventurer and her best buddy Boots, this pull-string pinata makes a terrific party game for any child’s Dora birthday party. Fill it with two pounds of Dora party favors and candy before playing. Then, little explorers take turns tugging on the pull-strings until one randomly releases the goodies inside.